The Spyke logo on the lever blade actually gives more grip as it’s engraved. The Spyke logo on the lever blade actually gives more grip as it’s engraved, but the painted on Spyke logo wears off after few rides. 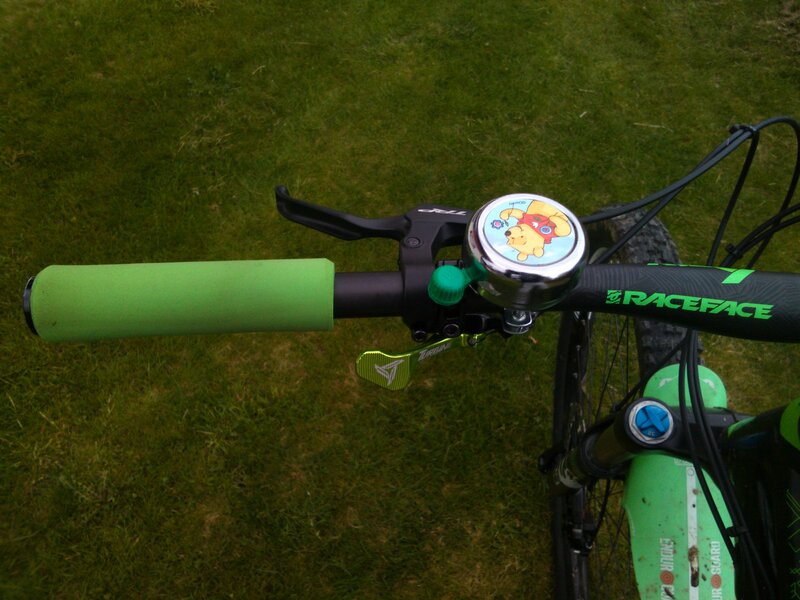 Rech adjustment, the reach adjustment allows the lever to be adjusted to kids hands. & ML940 flex effects the adjustment, due to reach adjustment on lever body. barrel adjuster it fits well into my fingers and makes it very easy to adjust the wire tension. No hinged mount, so you have to remove the grips, but for me this is not a deal-breaker. 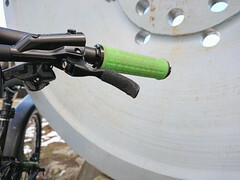 Flex in the lever body when braking hard, which also is present in the ML930 levers. flimsy barrel adjusters, they feel nice to grab and adjust but the play is huge. 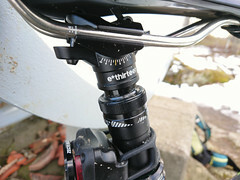 The reliable reach adjustment, means I will use the Spyke lever instead of ML930. But it’s not perfect, it has flaws, the rivets in the lever pullers for example. A mix of these two levers, with the best elements, plus bearing would make a pretty good lever, but nothing like that exist yet to my knowledge. I have revised this one before 14 june, But I added some info about issues with the O-rings. 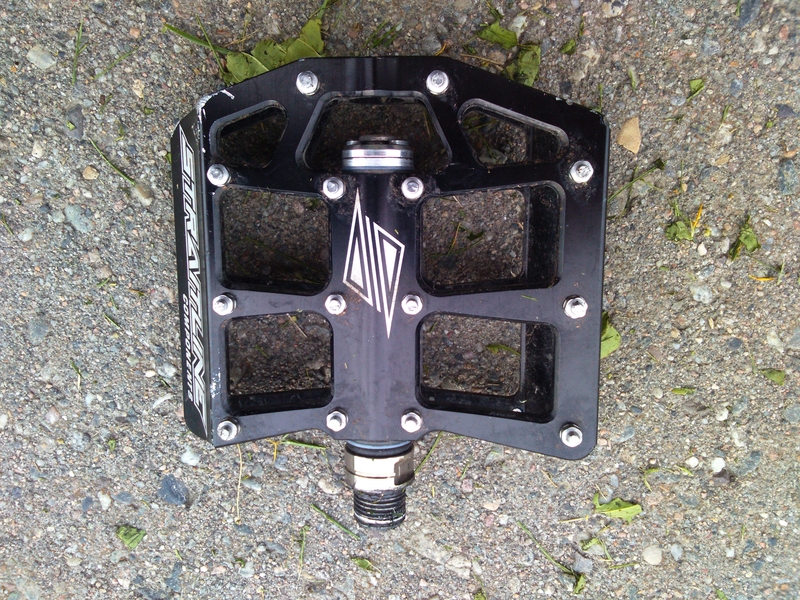 I have also ordered Catalyst pedals, SO I will see how much difference they will make. I was so impressed with grip of these pedals that I ordered more sets so now I got 4 in total. 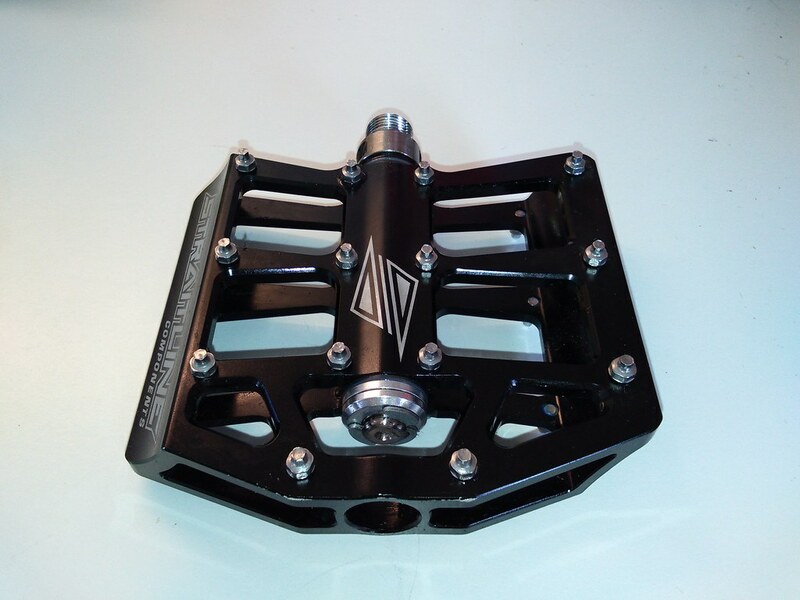 I run these with all pins, and the grip can’t even compare to normal cheap pedals they are on a whole new level, But They are not perfect, the short standard size platform is rideable but it’s too short for me. 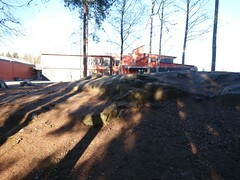 I have jumped and landed with the pedal on the end of a stair end and no damage not bend no play. but they are now on my fuel ex and the left crank arm failed and the left pedal fell off, the threads for the pin failed few days later, which is probably caused by loosened pin, and damage to threads was probably done wheel the pedal fell off,I have Used Loctite 243 all of my pedals,the thread locker on the pins are will no do the job properly, So you have to apply some more. No I did not overtighten them, it as a bike mechanic in the store that switched the pedals from my trek 6300 to the fuel ex.good they had a spare crank.I have used the pedal with the xt crank arm I got and the pedal did not fall of, so I assume it was just a faulty crank arm that caused this. 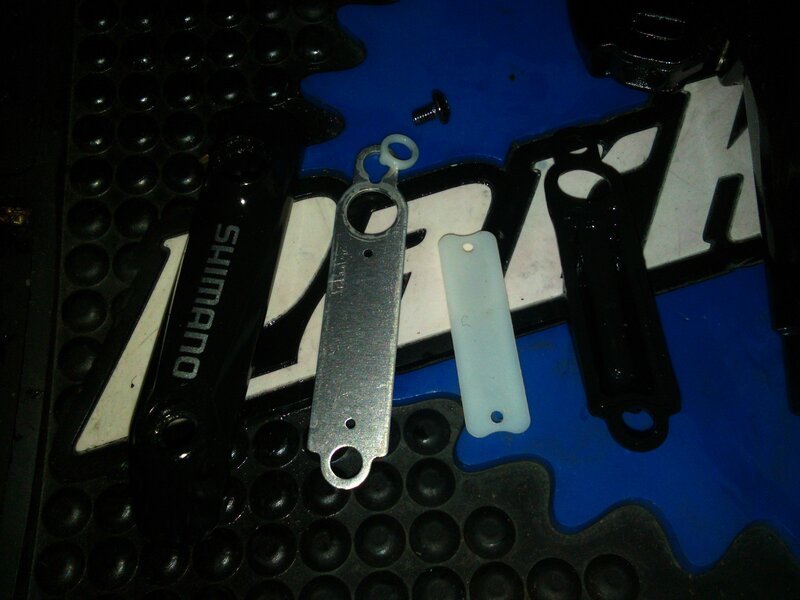 After about 2 season of use the metal rings and the locking clips will show sings of wear, I had to bend the clips with pliers to make them tight again, the O rings stretch after few months or weeks, causing the pedal to move from side to side and making knocking & creaking sounds. 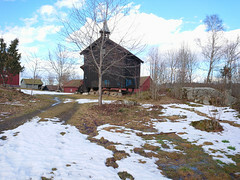 But straight line provides spare parts, which can be bought directly from their site, or from online shops. After riding few days in freezing conditions& rapid changing conditions, the service intervals changed to servicing them quite often. I had to use grease instead of lube, and apply so much grease it hindered water from coming on the inside, but the harsh conditions I rode in, still required the pedals to be serviced often. 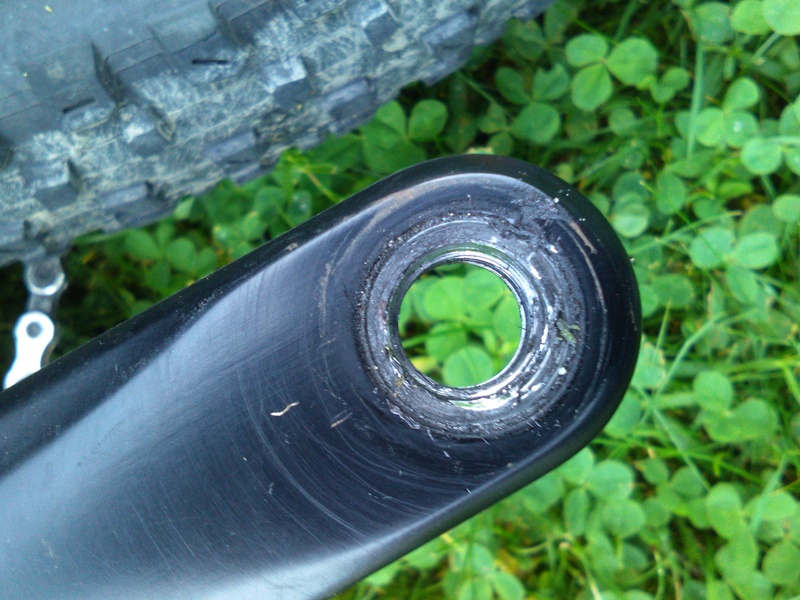 To Prevent Rust This is necessary, This is normal you will have to service any component more often in the winter. 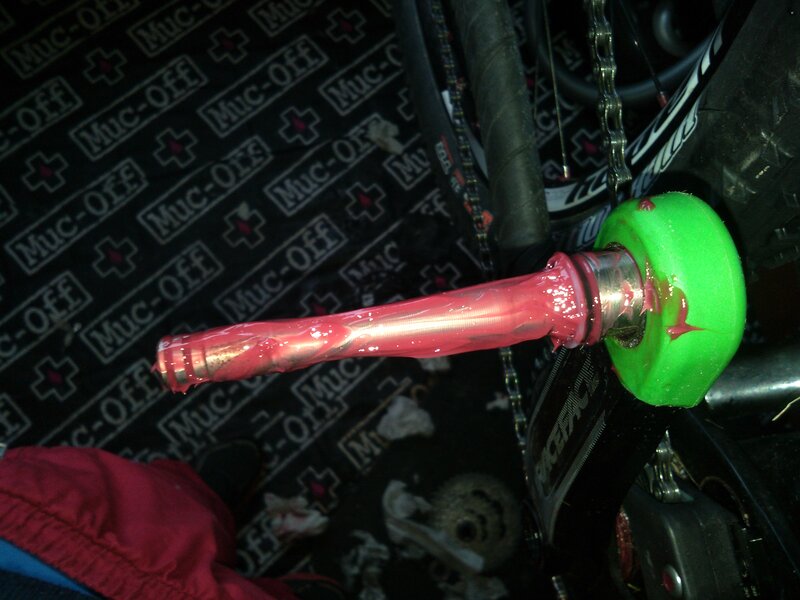 I did go trough several bushings in a year,about 1- 2 depending on use , as In got got several bikes & ride a lot. 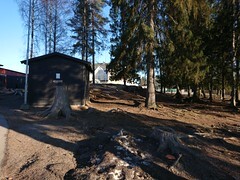 The platform is too short, for my 44 size feet, a longer platform would be nice. 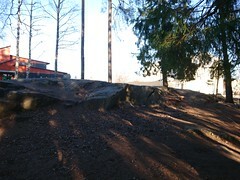 But riding with the five ten impact shoes definitely help. Very durable, can take some abuse. excellent grip, the pins amount of pins & the sharp shape provide excellent grip, combined with Five Ten shoes it gives perfect grip. 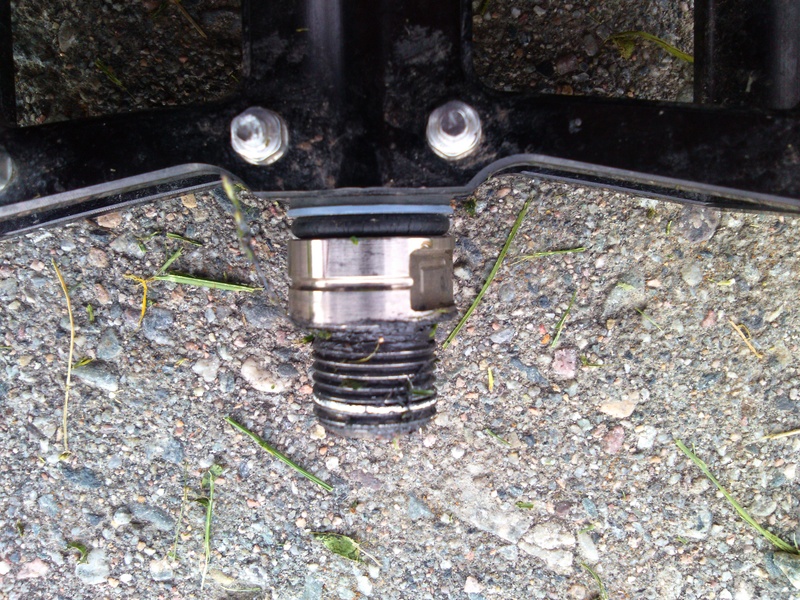 The pedal has plastic shim, which allows the pedal to stay in place in the same position when you remove your foot from the pedal. If it was not for the ”standard” size platform I could recommend these pedals,But for smaller feet these will do the job. but as I have big feet, these feel too short. DeFfacto are not the lightest pedals with good grip on the market, but if you want to save weight go for the Syntace nine nine titan instead, but the Straightline de facto are much cheaper, But in my opinion a longer platform medal would be better, I don’t care about some tiny weight gains. I have wanted a longer platform pedals for years, and I wanted to buy some buy never got around to do it, but I think my next pedals will be Pedal innovations catalyst,I think I will buy them to try them out for myself, The Straitline defacto and many other pedals are too short for me, but this does not stop me from using riding well, but I can definitely feel the disadvantages of the standard platform size. .I have used these brakes on 3 bikes, some more than others, until they failed. The brake lever body/Master cylinder flex when braking harder than 50%,which is why the plastic lid & the separator & the Master piston unit to bend or get damaged, and cause leaks, so the lever will be soaked in oil, and oil will spit out through the middle where the plastic lid is.I compared the flexing in the levers on m396&m615 and there is significantly more flex in the m615, if you press the lever blade half way you wont see flex on the m396,but on the m615 you will. Leaking caused by plastic cover bending upwards, and front and the back is also being pushed upwards but sideways too, causing a leak. 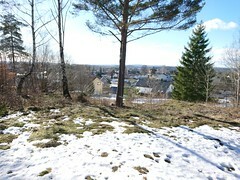 temperature changes, will cause changes to the materials, a minor hit can cause this. the design is clearly flawed. I had to replace one master cylinder due to failed threads, and I had the leaking issues with the new one too. The threads for the Torx screw failed, which is clamping the cover which clamps down the grommet, SO fluid leaked. but the Torx screw was not damaged. In my opinion these screws are way too small,the design is way too fragile. Impossible so far to get placement seals/grommets/diaphragms, or just the master cylinder separately. 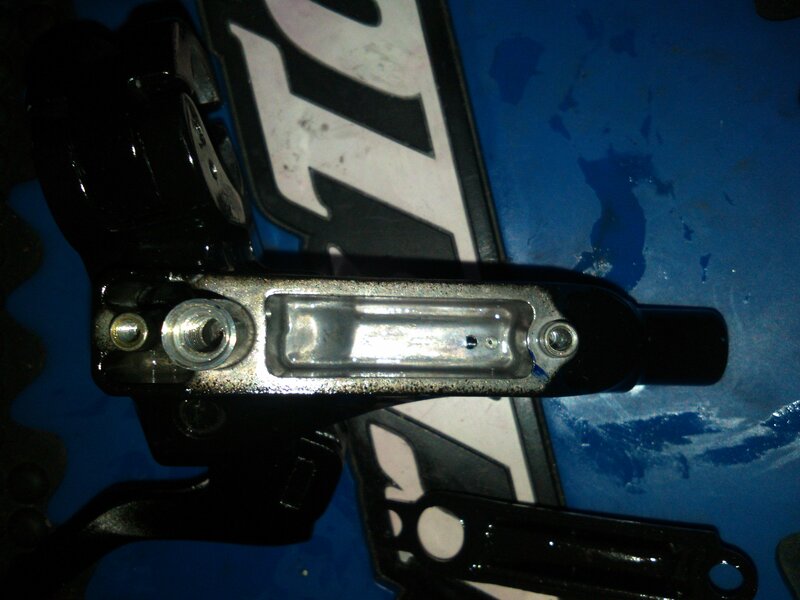 The cause of failure was certainly not over torquing the screws, It certainly was not a crash that caused it,because I never crashed with this particular brake. 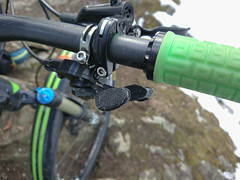 Hinged clamp,no need to remove grips & shifter. 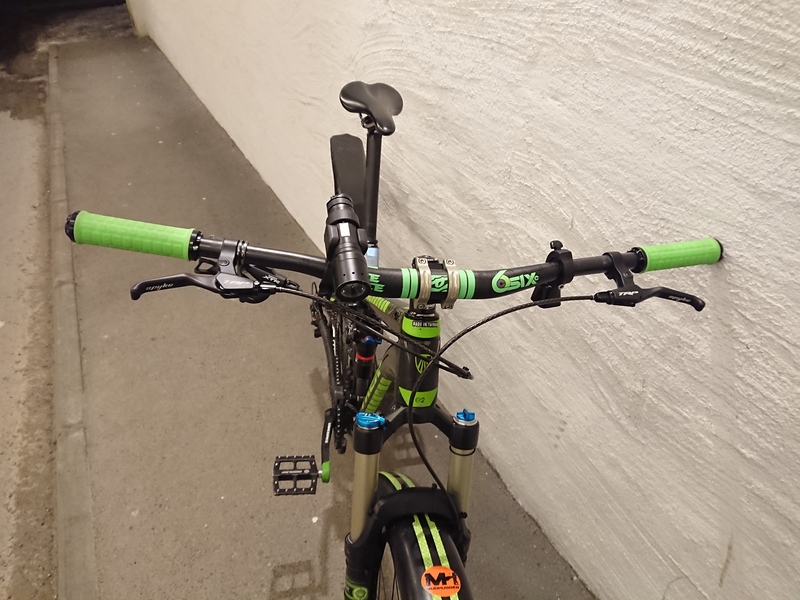 the levers are easy to bend back if you bent them,which I have done on 2 bikes so far. 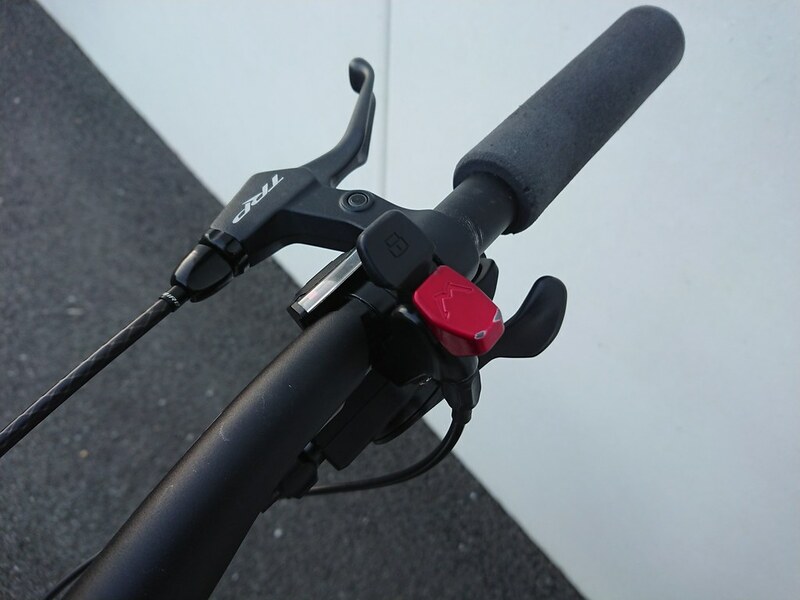 no need to take off grips to take off the brake, because of the swing arm clamping mechanism. 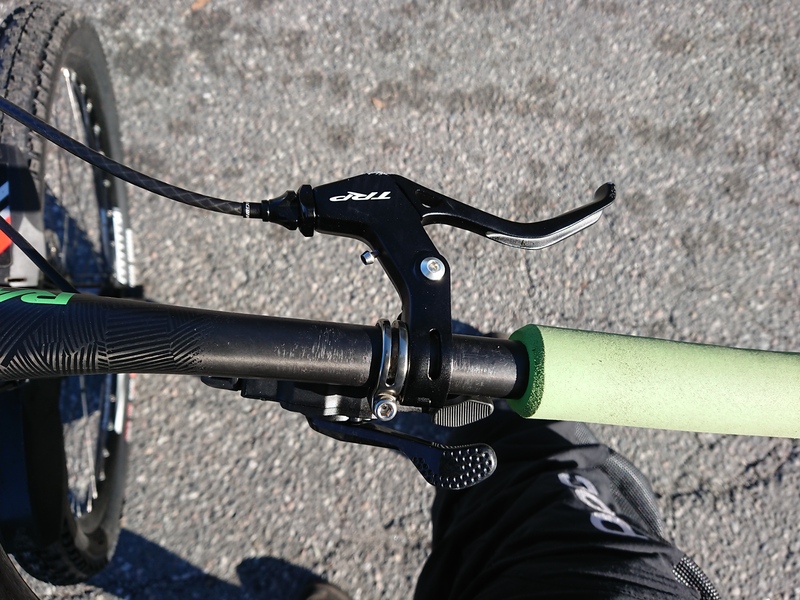 The Brake Lever will bend if you crash into a tree(before I upgraded the handle bars i was used to ride on the fuel ex 7 with 720 bars),at low-speed,don’t just let the bike fall on the ground,it can bend the brake lever. You can of course bend it back with proper tools and technique. 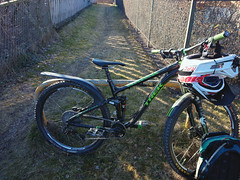 2016 Shimano Deore XT M8000 Ispec B shifter mounted to Deore M615, (there is no B on the brake but its compatible jsut look for the I spec B holes) i know the brakes are bit steep in this picture but I have tweaked that later. M615 Piston seals: the number written on pistons seals. The Both brakes are too fragile. Because the brake lever body/master cylinder is way too flexible and that there is a palstic lid,instead of metal lid,which causes the brake to leak. I have seen a lot of reviews claiming these brakes are a good value at a low price point. I agree with the braking power for the money is there, but not the reliability, these brakes are too fragile. same goes for the other brakes with the similar design, for example, M396, M395, but at least it’s possible to get Reservoir Lid Unit for M396, M395. Failed tHreads on M396 right lever/rear lever. If I use the 42T cog on the cassette the chain will fall off when back-pedalling, but when I shift up to 37T cog the chain stays in place no matter how hard I pack pedal. 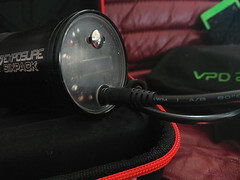 the Pro 4 free hub, is 11 speed compatible, which means it’s wider, and comes with a spacer,and with 11speed cassette, the cassette is closer to the frame/more outwards to the right, which gives a better chain line, so the backpedalling issues is gone,Unless you backpedal at unrealistic speed,then it will fall off,but I have done 180 U turns in 1stgear(42T) and the chain never fell off. 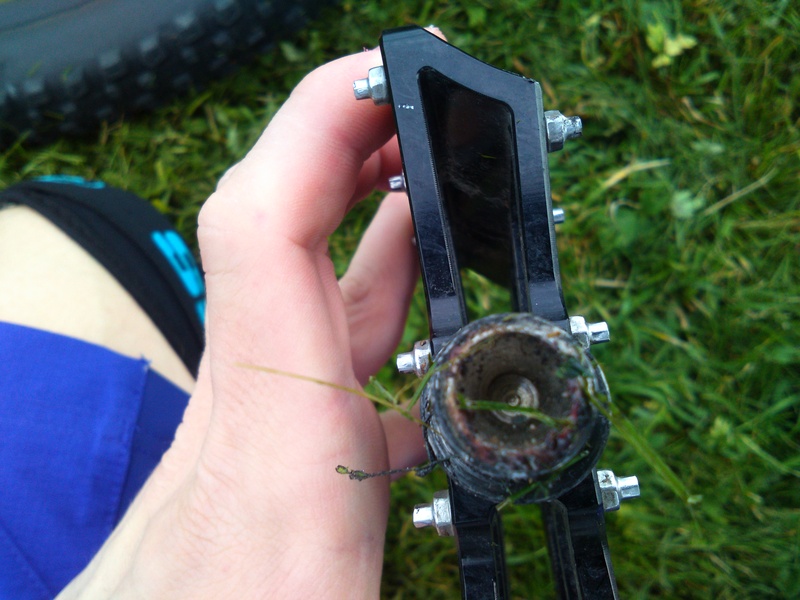 So if your rear hub is compatible with a wider freehub,you should get one. The first thing I noticed after I upgraded to 1×11 is that all the slapping ,banging and scraping noises are gone from my bike. The narrow wide chain-ring will make more sound than the triple chain-ring, but when ring in rough terrain or jumping, the noise is a lot less than a conventional triple ring set-up would make. With this set up i used uncut CN-HG701-11 chain. There is big difference in the force needed to press to press the small trigger(up shift),but I got used to it after days ,and it did not feel as hard to press, and I like the shifter feel,I get less accidental shifts this way. The change in gear is instant like promised. The possibility to shift by bending you finger and do a finger kick motion,which you can’t do with Sram shifters. 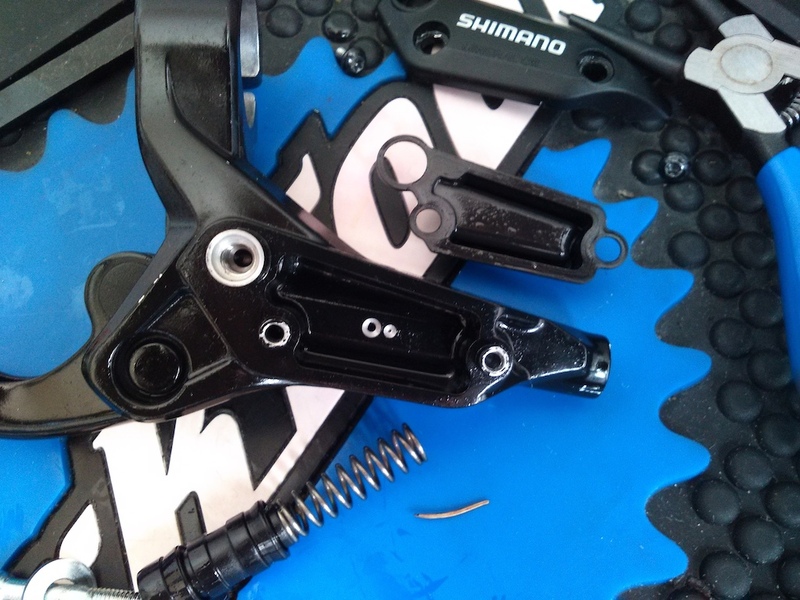 (like this(https://youtu.be/7HvJma35fZA) to push the lever/trigger is gone, as the Shimano Deore 10 Spd had.But for me this is a acceptable compromise. 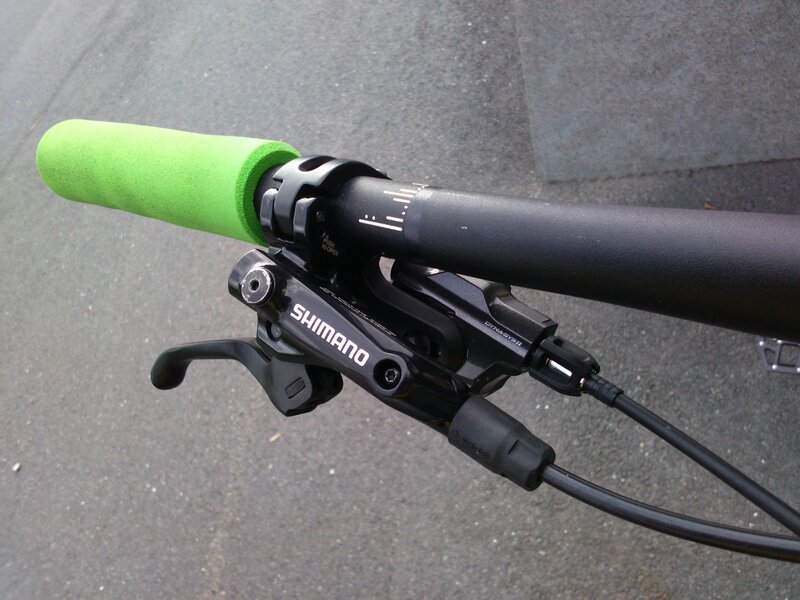 There is huge difference in the force required to push the triggers between SL-M610 & M8000 , so if you plan to upgrade a kids bike you might want to let the kid try it out first,but for the youngest I recommend getting SL-M610 or something similar. 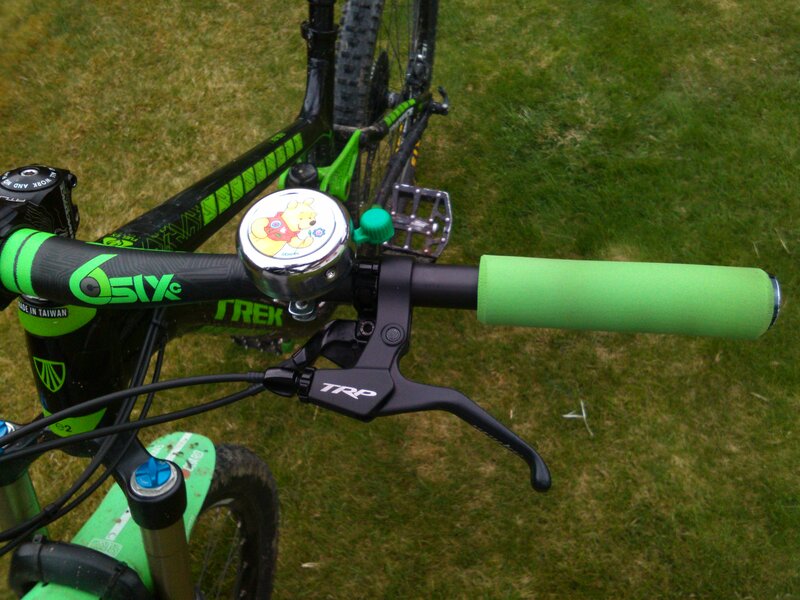 The I-Spec B shifter will have rotational play,because of the pin system, it’s not avoidable. The screw came with a lot of Blue thread-locker,so needed to try few times until I finally got it tight without loose shifter. But the adjustment screws did not,so you have to buy thread locker for them, I used Loctite 243. A lot stiffer Clutch system, which is good. Esy to service, as long as you got magnetic bowl, and are careful with the round seal fo the spring assambly. The chain will not fall off no matter how hard I ride, if it falls off you must be crashing really hard. 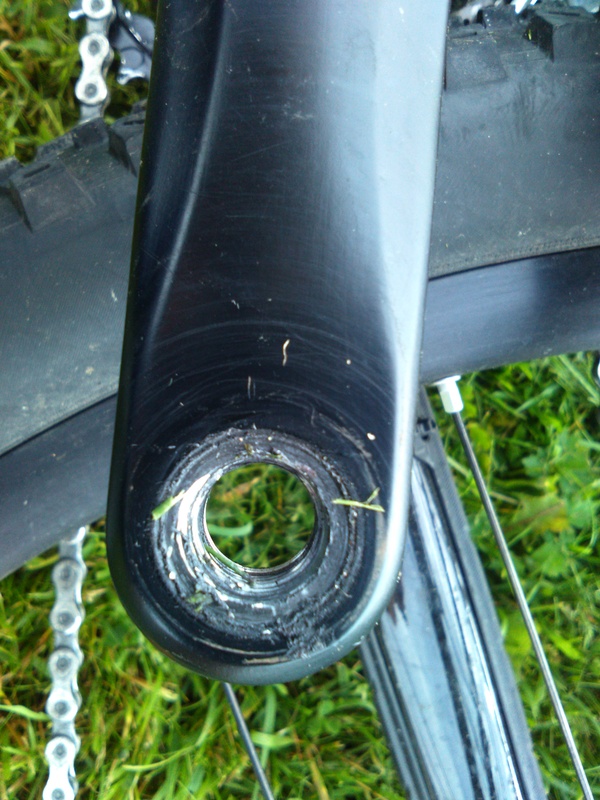 There is some drag when pedalling but this is not noticeable when riding, the chain still wants to be on the ring for about a half of a second, but this is impossible to avoid with Narrow Wide. set up used in test: 2010 trek 6300 1 x10 36-11T cassette Shimano SLX Shadow Plus, with 36T Race Face Narrow Wide chain ring.The chain dropped when it was in 24 Tooth cog, but when I tried in 21 cog it stayed on. Even on stairs that were not that steep probably 40 degrees,the chain fell off. You get all the gears you need if you just select the right chairing for you. 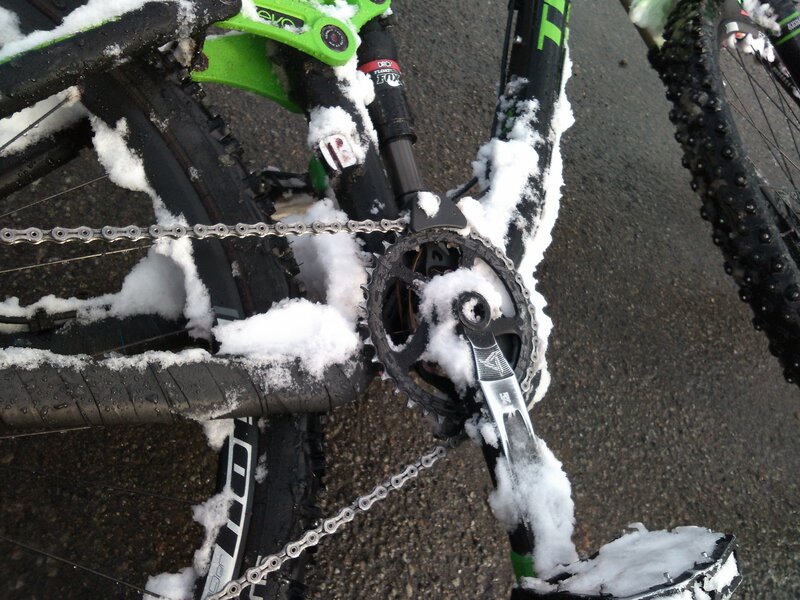 dropping the chain is rare unless you ride in low gears down steep stairs. Cons of 1×11: There are no real cons riding 1×11 it will have faster wearing cassette and chain of course,but that’s not a reason to not upgrade. the 37 and 42 cogs are the fastest wearing cogs, because of the bigger chain angle. 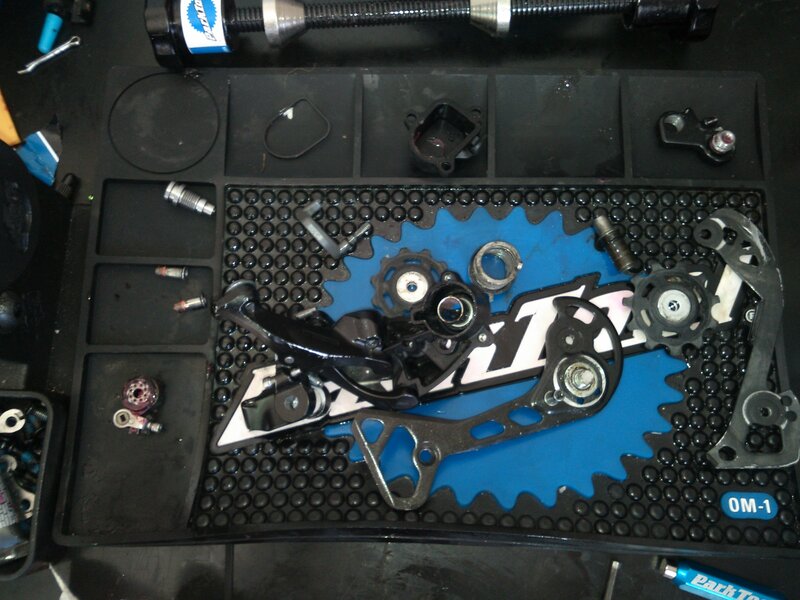 the cassette & chainring wore out at the end of the season like it did with 10×3, maybe few weeks sooner wear. 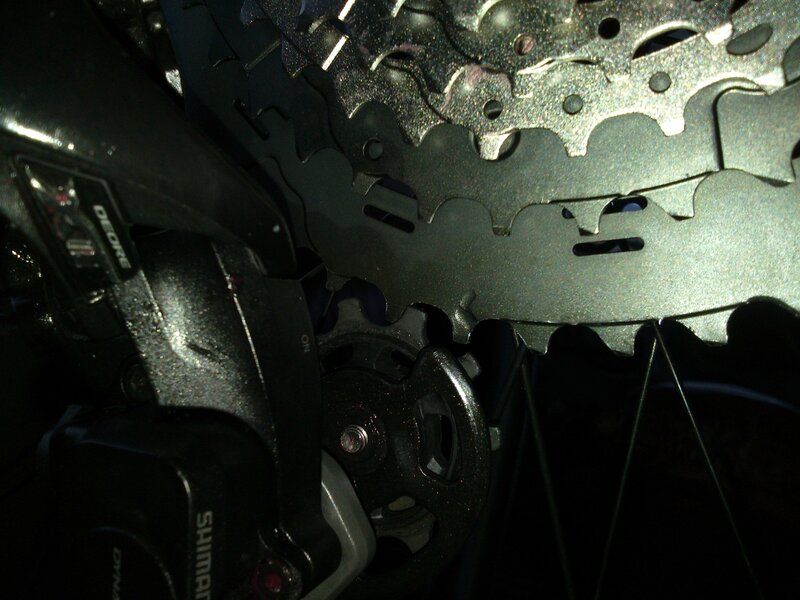 I don’t have to shift as often and skip so many gear so often,so I get less side to side wear on the chain,by using 1×11,so the chain growth will be less. If i changed the chain,a lot earlier, the cassette and ring would have lasted longer,but I had no spare chains,but I have a stock of chains now. The Rear derailleur cage will have visible wear, with 1x setup,because of the chain line the chain will hit the plates,but its not a big deal. 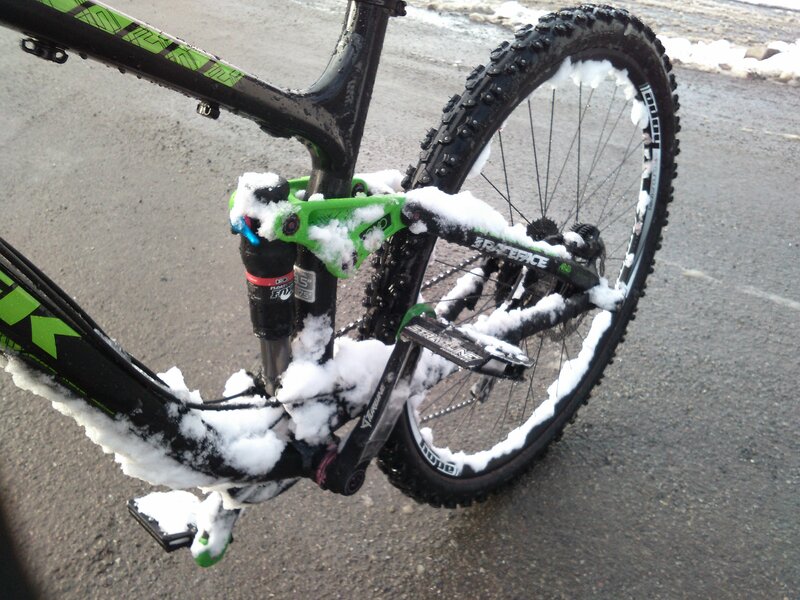 I absolutely recommend Both the Xt m8000 drivetrain and the Race Face Narrow Wide single chaining. 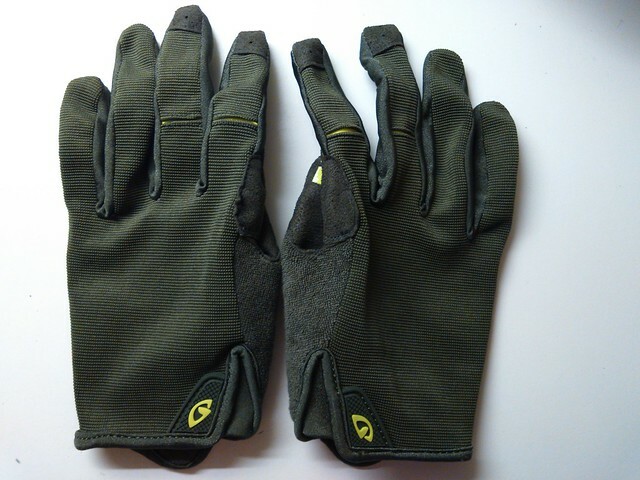 the durability, and wear resistance of these gloves are much better than then Remedy X gloves,because there is no horrible hook & loop strap that wears out. I have used these gloves about the same time as the remedy x gloves but these gloves will last much longer. my knuckle size is 21cm, and i used size large. Depending on your hand these might be a con or a pro: if you got abnormal big wrist bone and thick thumps these gloves are for you. the wrist is too big for me. elastic part on side wrist to help with fit. The seams inside,result in less comfort than Poc’s gloves,but nto so bad that I would not wear them.